Enjoy your videos and favorite movie series on the Cherry Mobile Desire R7 Plus. Its 5.5 inch HD display makes it perfect for binge watching. Plus, for the photo enthusiasts it has a 13MP rear shooter and an 8MP selfie shooter. 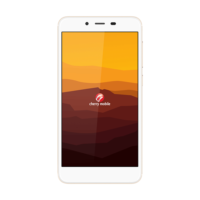 Last but not the least, stay on the go with the Cherry Mobile Desire R7 Plus’ 3000 mAh battery.